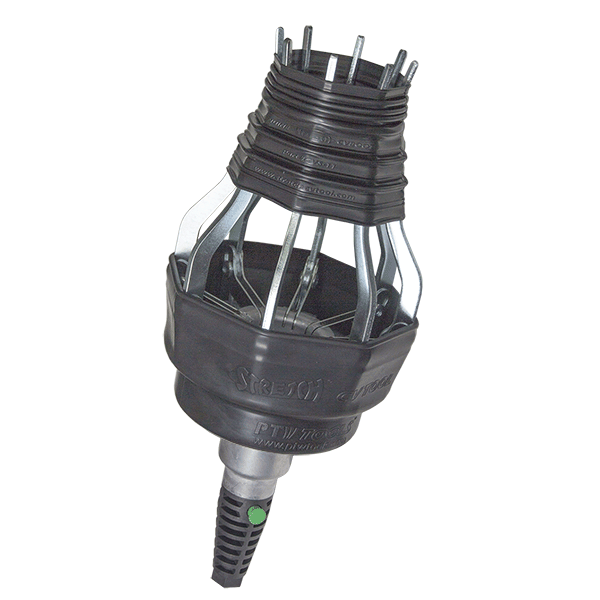 For best CV Boot clamping results we recommend using a proper clamping tool such as the CVT-15 Clamping Tool. See YouTube video below for clamping example. 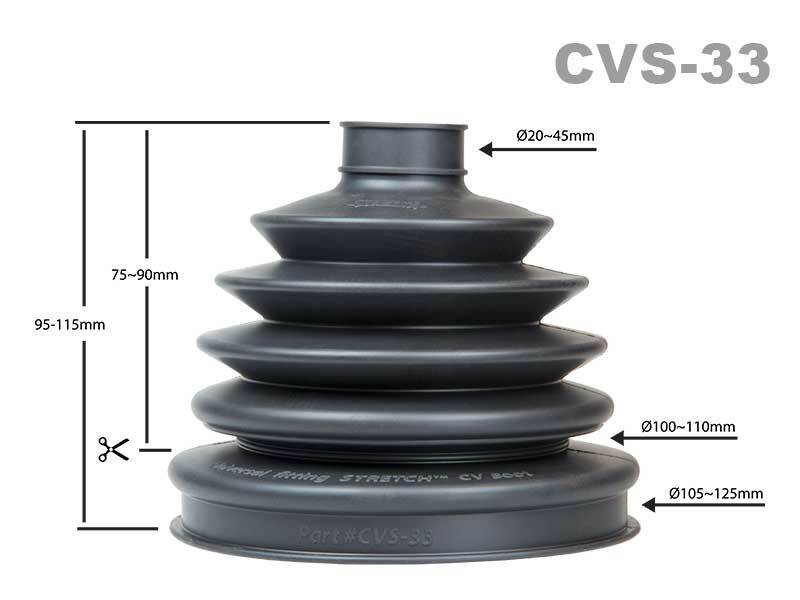 With STRETCH™ CV Boots you can replace CV Boots on the vehicle in minutes. STRETCH™ CV Boots are specifically made for use on the CVT-1000 air operated CV Boot installation tool, but can also be fitted using traditional CV Boot replacement methods. STRETCH™ CV Boots suit over 97% of passenger vehicles, 4×4’s, Trucks, SUV’s, ATV’s/Quad bikes and are guaranteed not to split on any CV Boot tool! 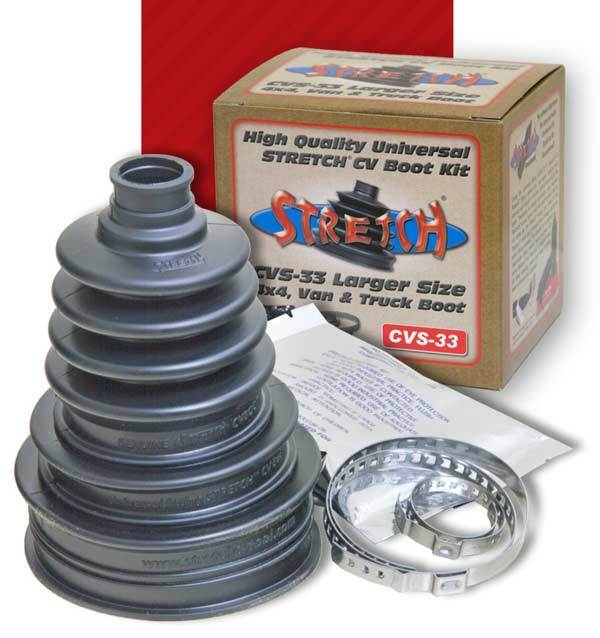 All STRETCH™ CV Boots are supplied with CV Joint grease and a pair of high quality ear-type stainless steel clamps. 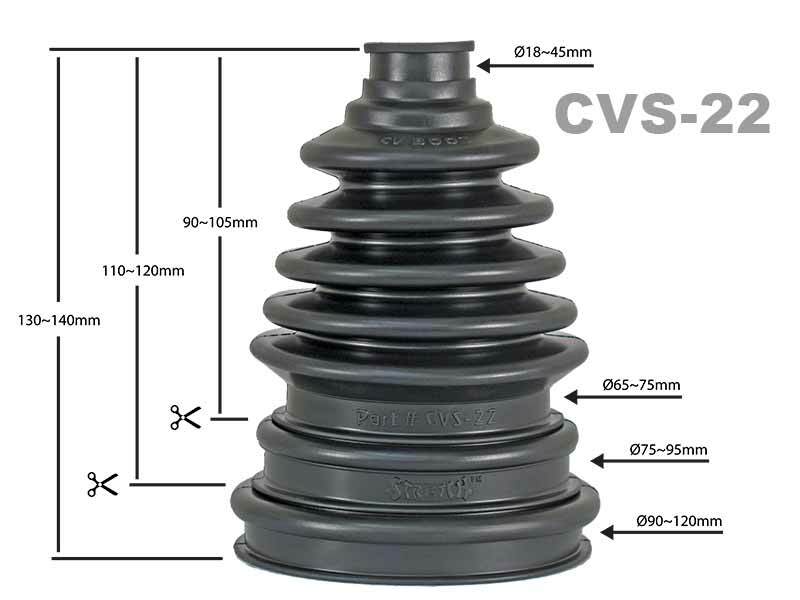 STRETCH CV Boots are available as a single boot kit or in an economical trade pack for the professional workshop. 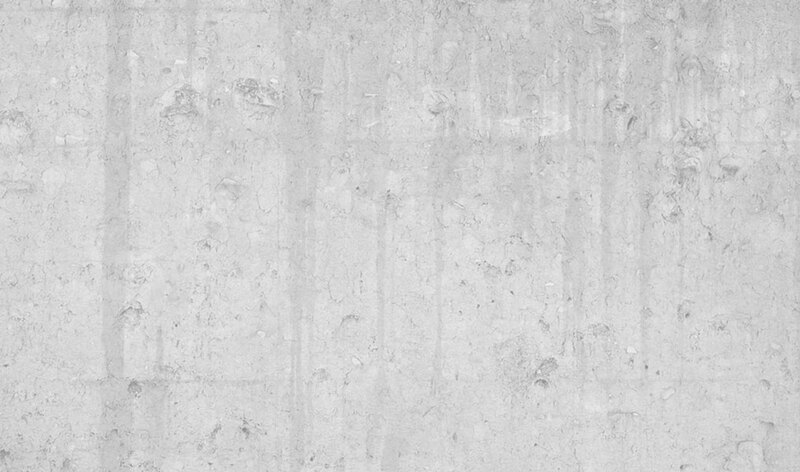 Click here to see why you should replace your CV Boots. 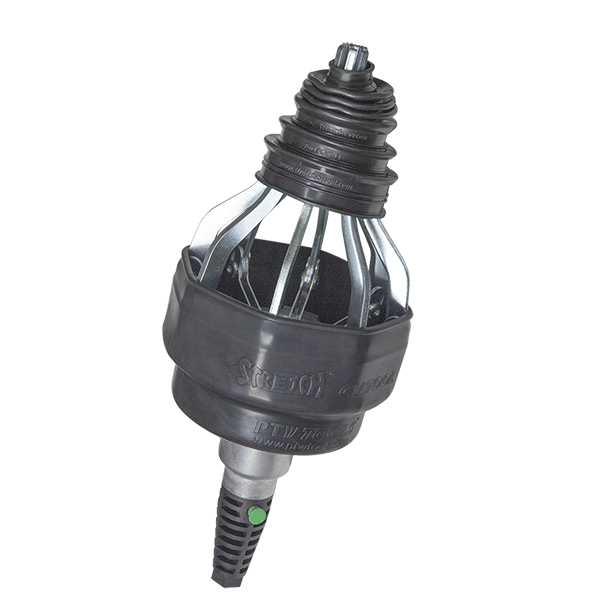 Suitable for vehicles with extra large size CV joints like 100 series Landcruisers etc. Quality and the STRETCH™ fit! 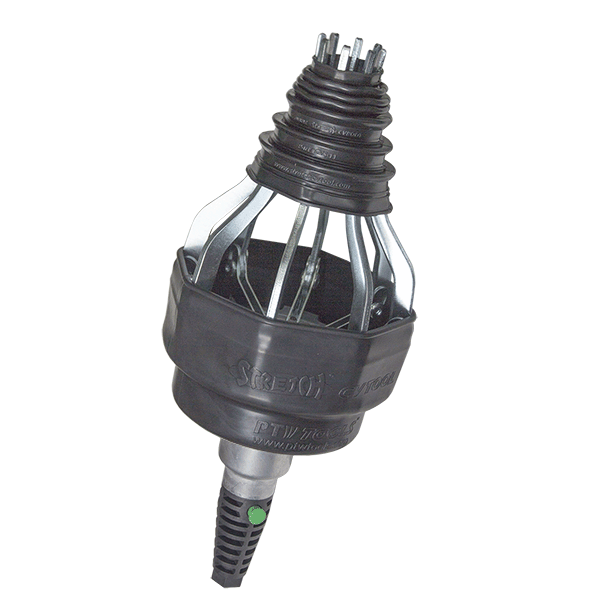 A cheaper style of CV Boot from a leading automotive parts supplier. Note how thin the rubber is and the large air gap at the banding point. 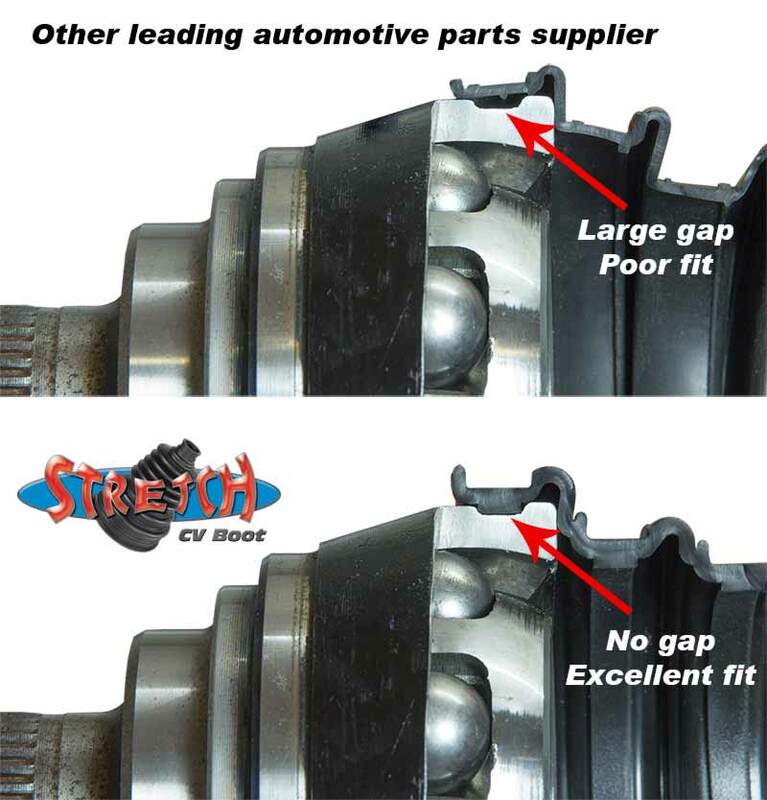 This gap causes the boot to want to slip off while clamping and is generally a poor fit. This design also leads to premature failure caused by the CV clamps displacing and cutting through the thin walls of the rubber. 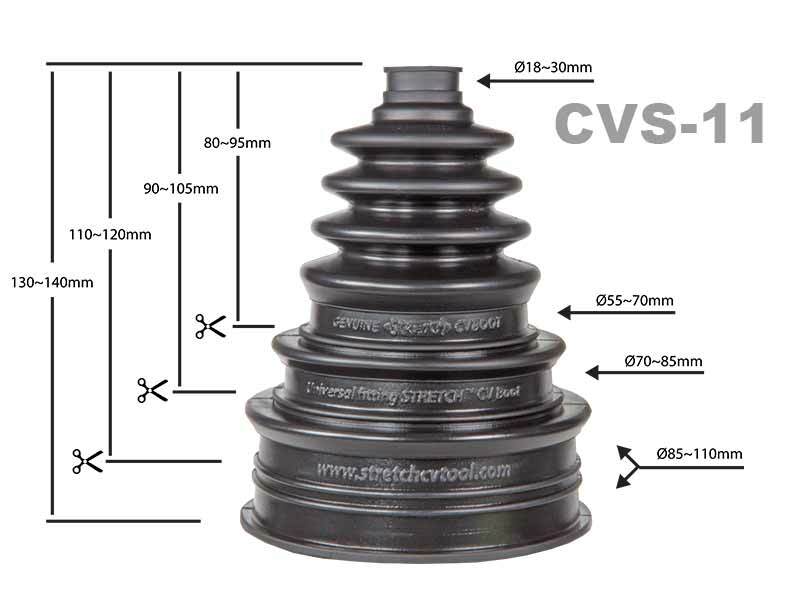 A Genuine STRETCH™ CV Boot with thick walls and better than OE rubber. 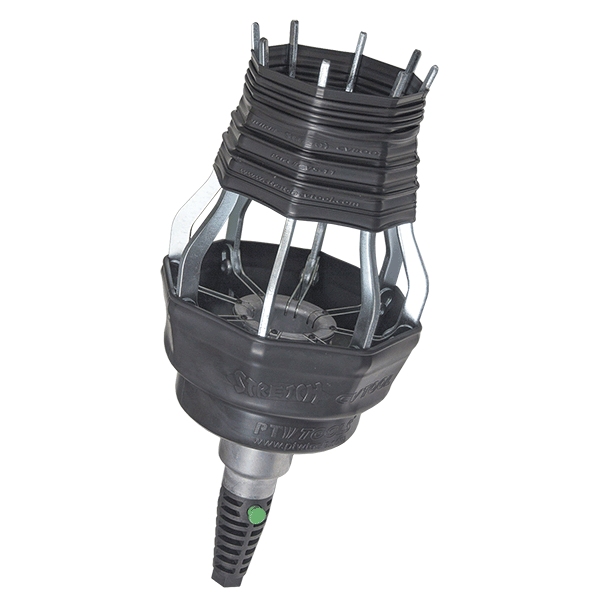 Note how the CV Boot now fills the clamping point, securing the boot in position while clamping and providing plenty of rubber to allow the clamp to tension correctly without displacing too much rubber or cutting into the boot! When should CV Boots be replaced?